There was a time when pearls were only worn by royalty. This is probably the closest to "royal" I will ever get. *ha ha* More recently they have been seen on iconic ladies such as Queen Elizabeth, Jackie Kennedy, Marilyn Monroe, Princess Diana and Elizabeth Taylor. In this post you will not only learn about pearls but will have the opportunity to win your own pearl design by 7 Lucky Stones! imitation (glass), all in various shapes, sizes and colors. 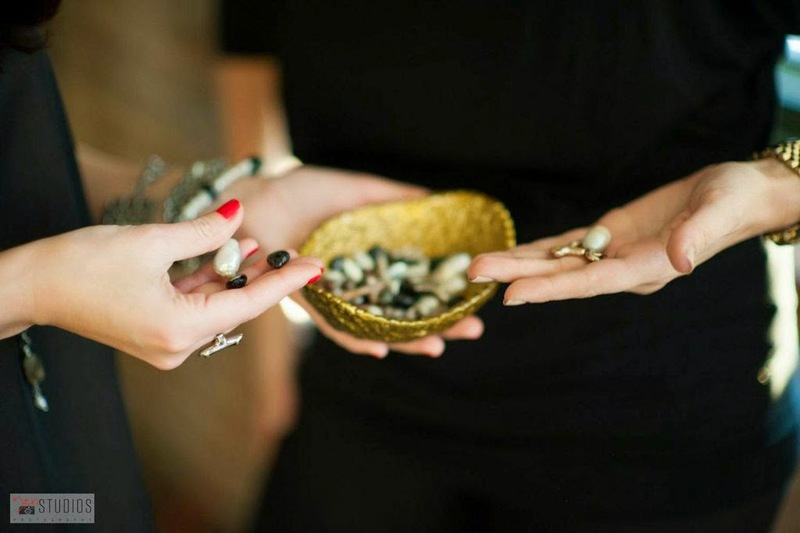 I had the opportunity to speak with Denise Dunn, professional jewelry designer, creator, and owner of 7 Lucky Stones, about a girl's second best friend, Pearls! 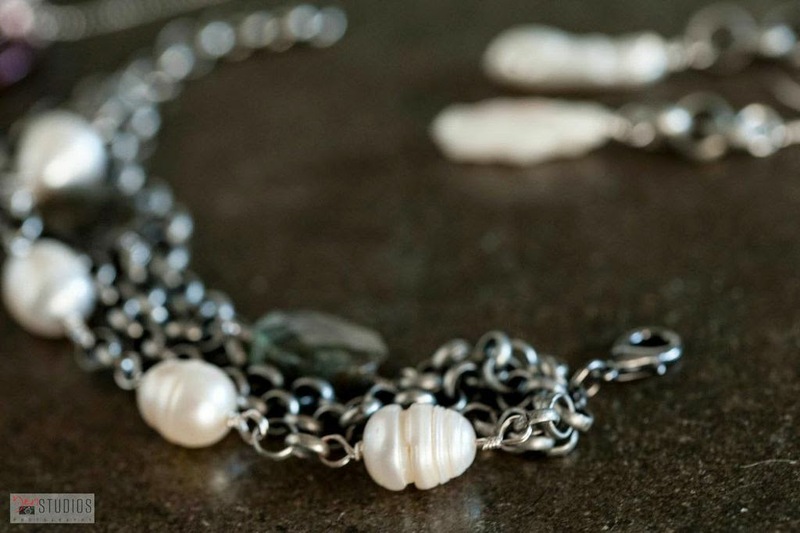 Natural saltwater pearls are rare and expensive, therefor most pearls today are cultured. Cultured saltwater pearls are more expensive, due to production costs and not quality. Most pearls are grown on pearl farms in China or Japan, but you can find North America’s only freshwater pearl farm not too far from Memphis, TN. It’s located on Birdsong Creek, off the Tennessee River’s Kentucky Lake, in Camden, TN. To grow the pearls, farmers surgically insert an irritant, called a nuclei, into the mollusk. They usually use a piece of tissue in freshwater mussels and a small mother of pearl bead in saltwater oysters. (A grain of sand—just a myth) Ten to fifty nuclei can be inserted into one mollusk. The mollusks then start to produce layers of nacre around the nuclei. The pearls can be harvested anywhere from 1 to 8 years later. 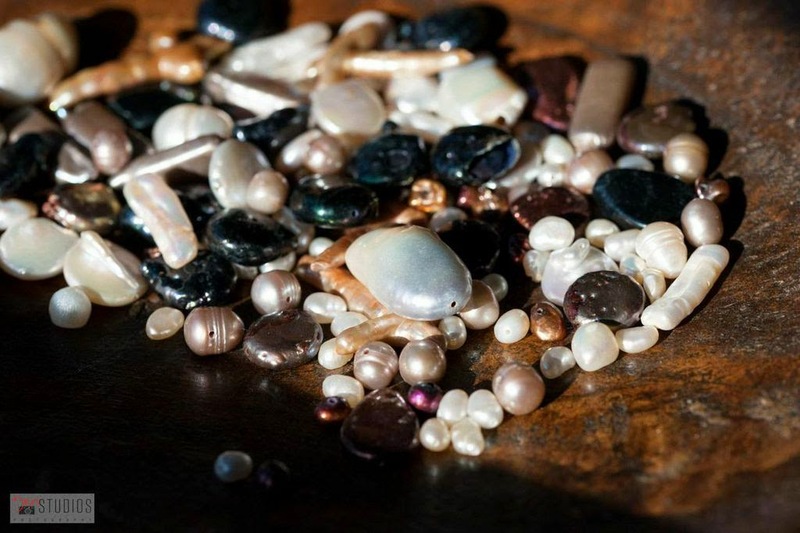 Not all will produce pearls, and it could take thousands of mollusks to produce a single 16’’ strand of uniform pearls. be cleaned with a soft, damp cloth. Since their luster can be diminished by lotions, perfumes, makeup and hairspray, a good rule is “last to put on & first to take off”. Pearls are the world’s oldest gemstone. Ancient cultures referred to them as “tears” from their gods. ocean and get swallowed by the oysters.” And don’t forget the Pearly Gates, quoted in King James. The pearl is the official gemstone for Tennessee. 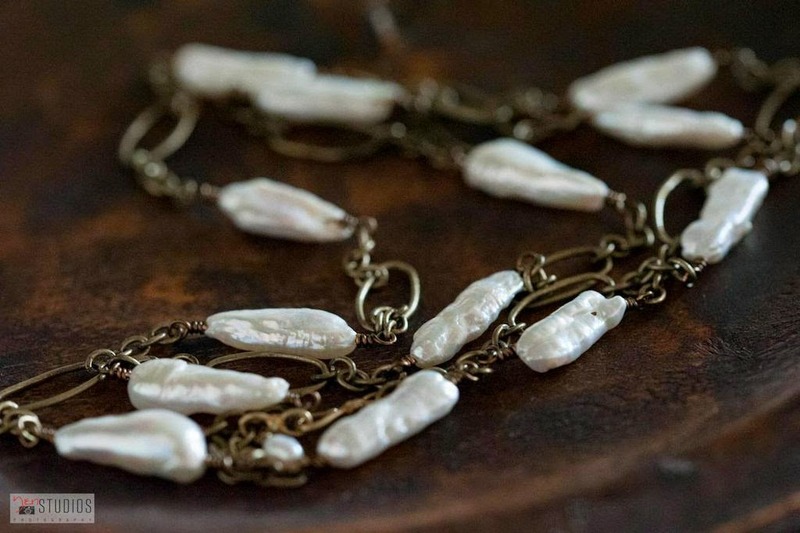 Although most freshwater cultured pearls are grown infarms overseas, 90% of them originate with a mussel exported from Tennessee’s River. 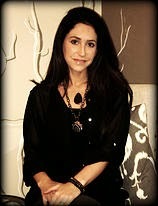 Denise Dunn, creator and owner of 7 Lucky Stones, loves to incorporate pearls into her contemporary designs mixed with large chains, matte finishes or leather to create an edgier look. 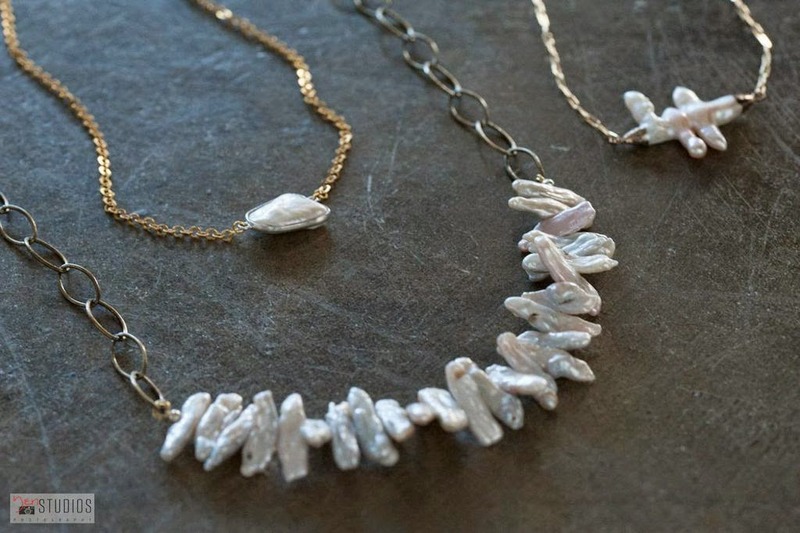 Pearls are a staple in 7 Lucky Stones’ collection, as well as many other gemstones mixed with gold, silver, brass, copper and leather. Denise is amazed at the beauty nature provides and enjoys working with the elements.